Gagan Shakti 2018: During the process of refuelling, both aircrafts have to maintain extremely accurate flying parameters. The Indian Air Force carried out an air-to-air refuelling display in what is seen as an attempt to showcase its reach and preparedness. 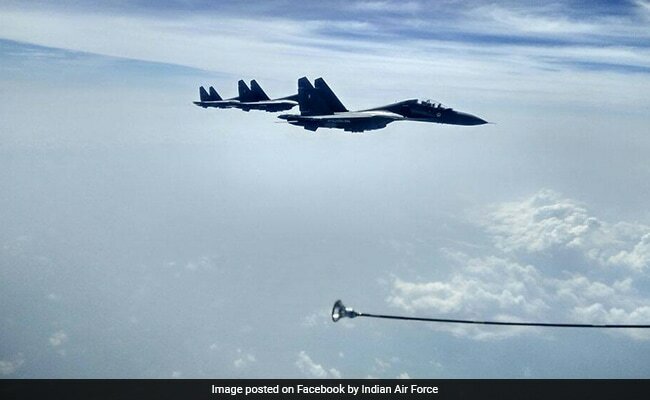 A video showed pilots performing the mid-air refuelling of a Sukhoi fighter jet, a show of strength, during the Gagan Shakti 2018 exercises. 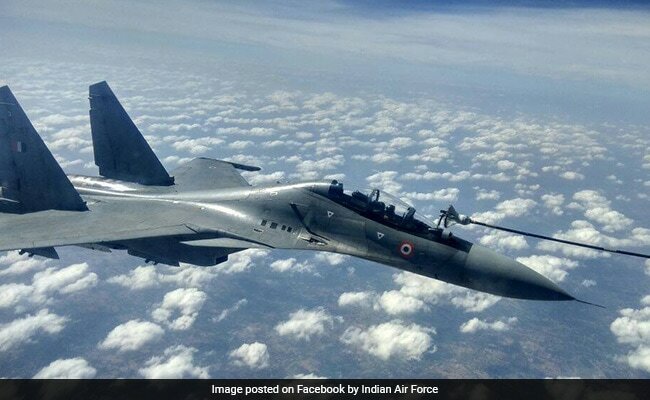 A Sukhoi Su-30 jet that took off from Kalaikunda airbase in West Bengal's Kharagpur engaged multiple targets over the area of Lakshadweep before it returned. The Sukhoi jet was refuelled twice, on its way towards Lakshadweep as well as during the return flight after the mission. Indian Air Force has mobilised 1,100 aircrafts, including fighters, transports and helicopters for Gagan Shakti 2018. Close to 4,000 sorties have been planned through the day and night across the length and breadth of the country. Simulated strike missions by IAF fighters also extend deep into the Indian Ocean. The air-to-air refuelling methodology practiced by IAF pilots requires exceptional flying skills as the receiving aircraft has to accurately insert the receptacle probe into the basket shaped drogue trailing behind the fuel tanker aircraft. Gagan Shakti 2018: Both aircrafts have to maintain extremely accurate flying parameters during mid-air refuelling. During the process of such refuelling, both aircrafts have to maintain extremely accurate flying parameters. Gagan Shakti 2018 will revolve around two phases. Phase 1 will see operations along the western border for which the government of Pakistan has been given prior intimation. This phase merges seamlessly into the next one along the northern border and will also see operations at high-altitude air landing grounds which have been constructed with an eye on Chinese defences on the Tibet front. The key to the overall success of Gagan Shakti will be maintainability of the fleet or the ability of the IAF to successfully launch as many aircraft as possible, whenever they are required with minimal failure rates in between missions.